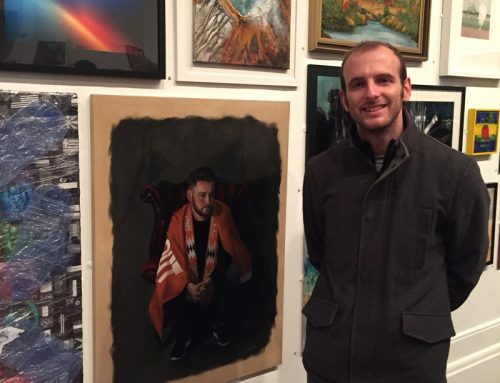 Early last month I managed to drop in at Lancaster City Museum to check out the portraits within their fine art collection. 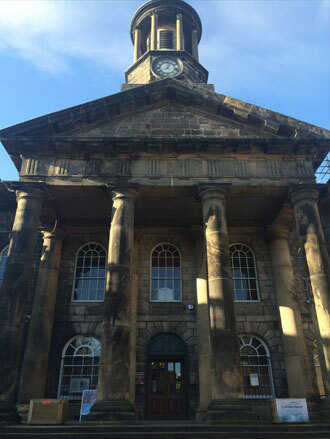 Living close to Lancaster, it’s a place that I really should visit more often and anyone with an interest in the military would find the King’s Own Royal Regiment Museum (housed in the building) particularly interesting. 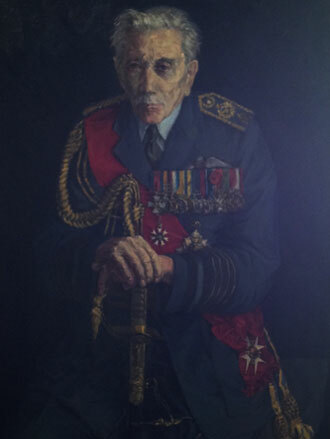 While the museum was undergoing some maintenance work at the time, there were still a number of fantastic oil portraits to appreciate, many of them associated with the King’s Own Royal Regiment. In the permanent collection of the museum there are a few pieces by prominent portrait artists who happen to be associated with the North West of England. 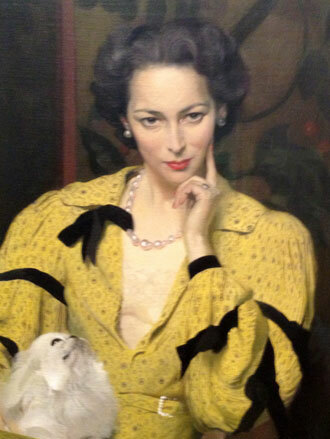 Firstly, Herbert James Gunn, painter of the Preston icon Pauline in the Yellow Dress, is represented in the form of a military portrait. 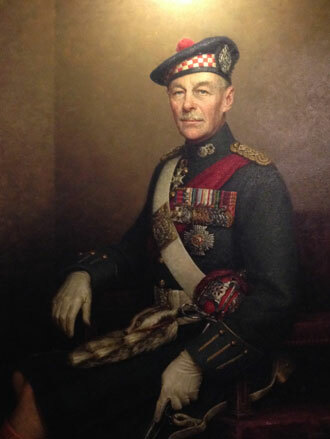 His painting of 2nd Lieutenant Richard Leslie Brown is just one of the many portraits of men who served in the King’s Own Royal Regiment. 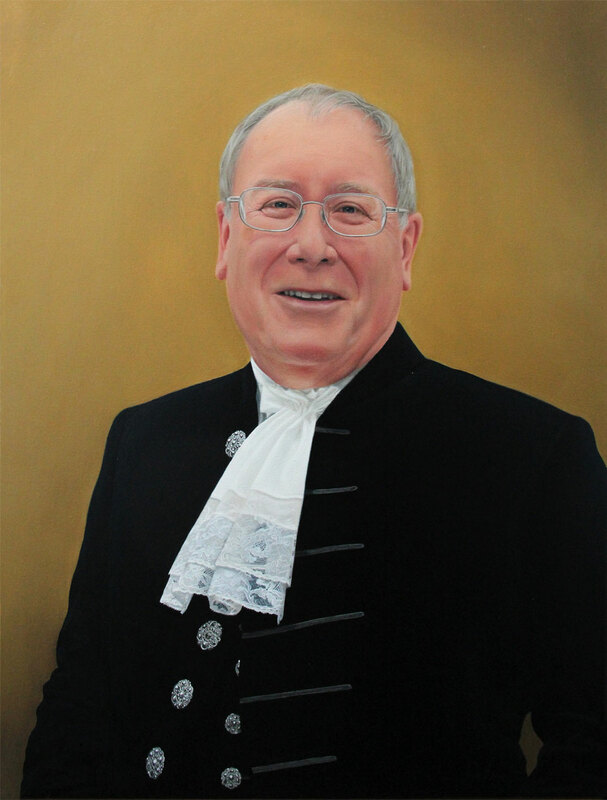 While the portrait isn’t one of my favourite works by Gunn, the way he has captured the patterned material of the sitter’s suit is incredible. 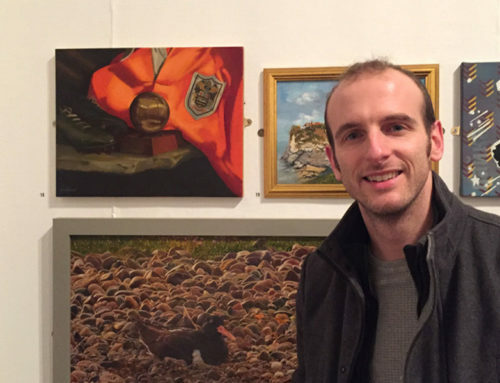 You can view some of my favourite portraits by James Gunn on my Pinterest account here. 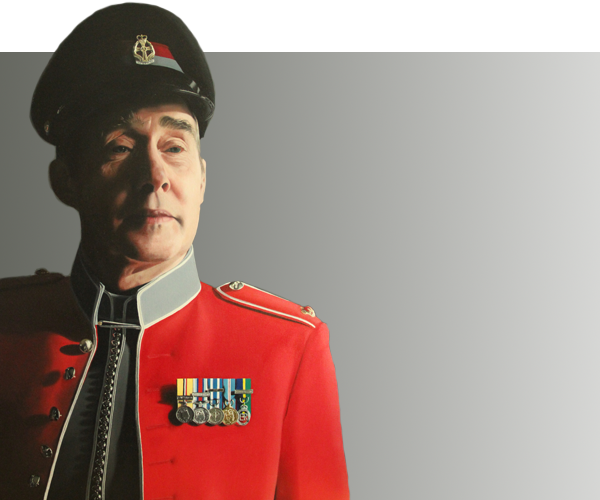 Another portrait commissioned to honour a member of the King’s Own is that of Lieutenant Colonel Robert Rich. 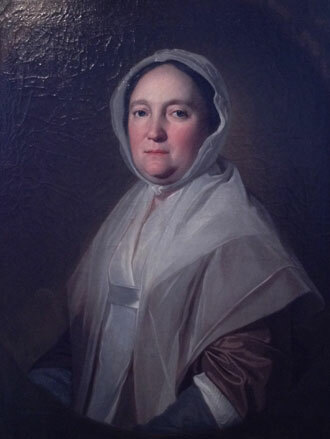 Painted around 1756 by the successful Preston born portraitist Arthur Devis, the painting shows certain qualities typical of the 18th Century artist. Many of the artist’s portraits show the sitters posing against imaginary landscape backgrounds like this one. What stands out for me in the painter’s work however is the consistent manner in which he constructed the form of his sitters. Common throughout his work seems to be the narrow shoulders and elongated bodies. 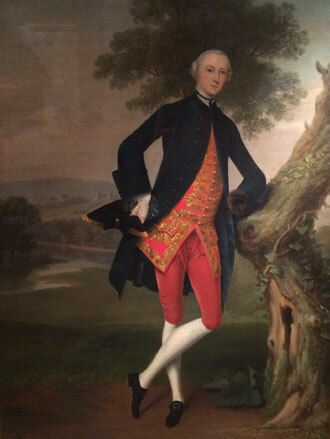 When viewing a number of his portraits together you can notice how Devis often posed his male subjects leaning with one leg crossed in front of the over. The Portrait of Sir Thomas Storey by the Austrian painter Karel Klic is brilliantly executed. 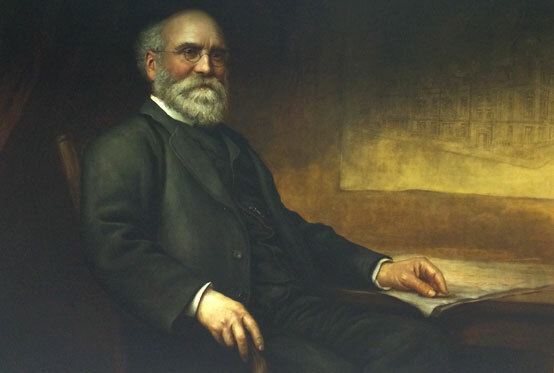 Painted circa 1892, the painting shows the Victorian industrialist and philanthropist alongside architect’s drawings of the Storey Institute which he gifted to Lancaster to celebrate Queen Victoria’s Golden Jubilee. 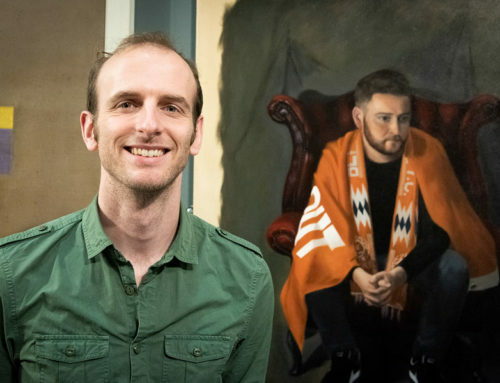 Klic was known as a skilled draughtsman and while it was his work in the printing industry (photogravure in particular) that brought him to Lancaster, this painting shows his ability as a portrait artist. I love the way the light falls across the sitter’s brow, nose, and back of his right hand, leading the eye around the canvas. 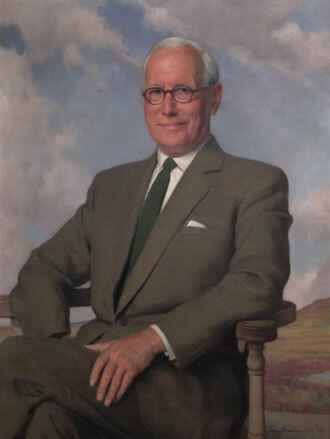 Roy Kearsley’s loose painterly style brings a lot of energy to the portrait of Sir John Salmond while George Romney captures light brilliantly through the subtle range of values in the face of his Mary Rawlinson portrait. 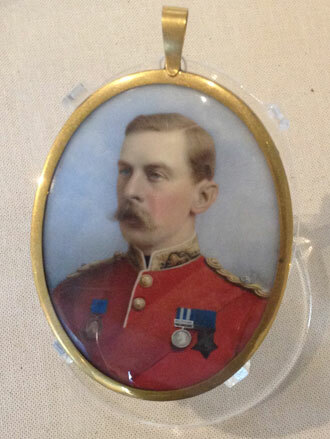 There are also a few portrait miniatures of members of the King’s Own Royal Regiment on display. I find it amazing how artists could capture such minute detail as the finery of the military uniforms on such a small surface. I’ve pinned these examples along with a number of others onto a dedicated board in my Pinterest account and I plan to explore this avenue of portraiture in a future blog.